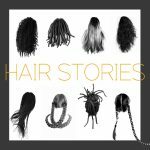 Hair Stories is an interactive documentary photography and storytelling project exploring women's hair as a cultural crossroads to examine identity, traditions and stereotyping. Hair is an expression of culture, and culture is political. This project considers the politicization of hair as it can be used to divide and categorize people, and how through sharing our stories and histories of identity, we can build solidarity in our community through empathy and understanding. As a mixed race woman, at times, Amber has felt like an outsider in both white and black communities. Amber is a Bay Area singer who tells her story of learning to care for curly hair, being rejected from a salon, and seeing both sides of appropriation. Elvie tells about her journey to self love by taking the mirror away. Sanaa shares her perspective as a woman whose story does not fit neatly into a box. A young trans non-binary artist talks about their hair experiences. Gaining respect for another culture by trying on a foreign hairstyle. another Hair Stories interview with a dancer from Oakland. 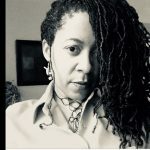 A mother’s transition towards the strength of natural hair. Talking about her shift towards loving beautiful, natural African American hair, and wondering about the roots of identity. Amber's female lineage made doing her hair into an art form.